This conference is a followup to the one devoted to interreligious dialogue, held in Cotonou in March 2014, under the presidency of Cardinal Jean-Louis Tauran, president of the Pontifical Council for Interreligious Dialogue. It had focused on the factors promoting violent Islamic extremism: tensions between ethno-religious communities, illiteracy, weak governance, inadequate justice systems and lack of interreligious dialogues, especially Islamic-Christian. Announced by the Beninese president himself, Boni Yayi, last November, the symposium is in the context of peace education and the fight against religious extremism in Africa (Boko Haram, AQMI , etc..). “Military force will not be enough to annihilate the jihadist movement that flourished in the fertile soil of a population deprived of access to education and health,” according to the new Nigerian President Mohammadu Buhari, in the press conference of Benin. 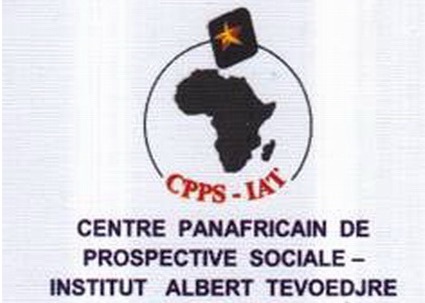 “This symposium will be based on inter-religious and intercultural dialogue to build peace around practical concerns of fight against poverty,” said Albert Tevoedjre, former Ombudsman of Benin and President of the Pan-African Social Prospects Centre, during a meeting with the press on May 20 The initiative is to establish “trust between followers of different religions to build together a better society with development and peace and to mobilize the enthusiasm around concrete tasks whose priority is recognized by all”, he explained. Among the 200 participants from all continents are various academics from Egypt, Lebanon and Indonesia, and personalities such Abderhamane Sissako, director of the film Timbuktu, Nassir Abdulaziz Al-Nasser, UN representative, William F. Vendely, Secretary General of Religions for Peace and Francis Kagema Kuria, secretary general of the African Council of Religious Leaders. See below for comments box.